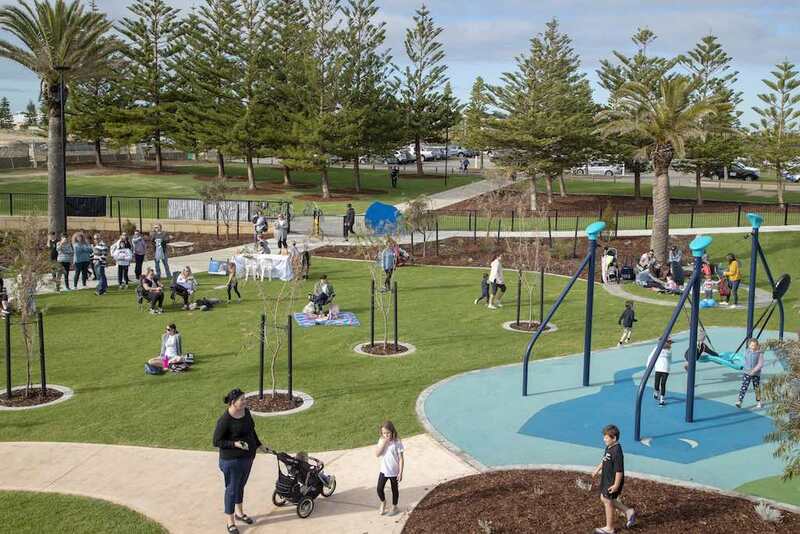 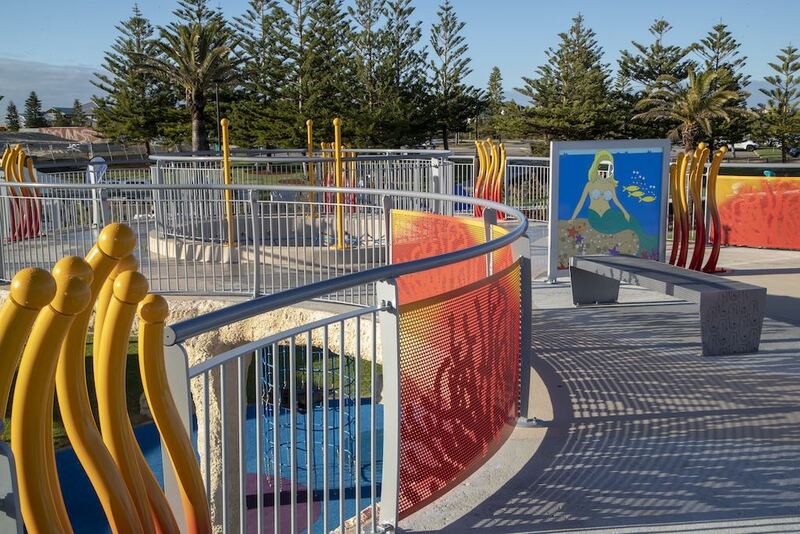 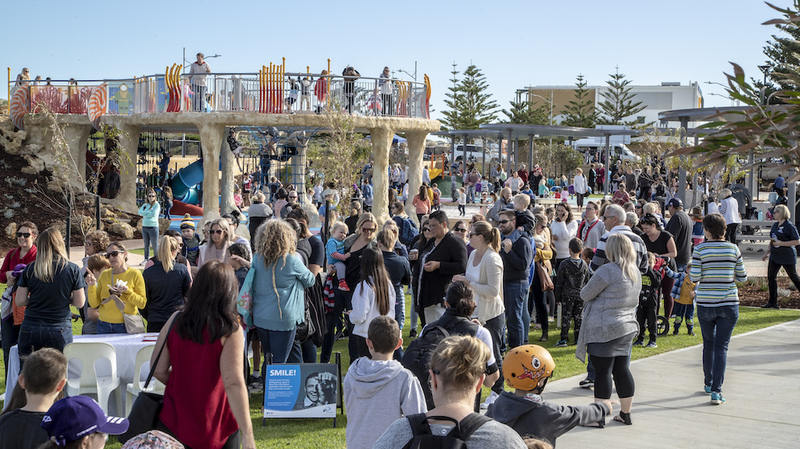 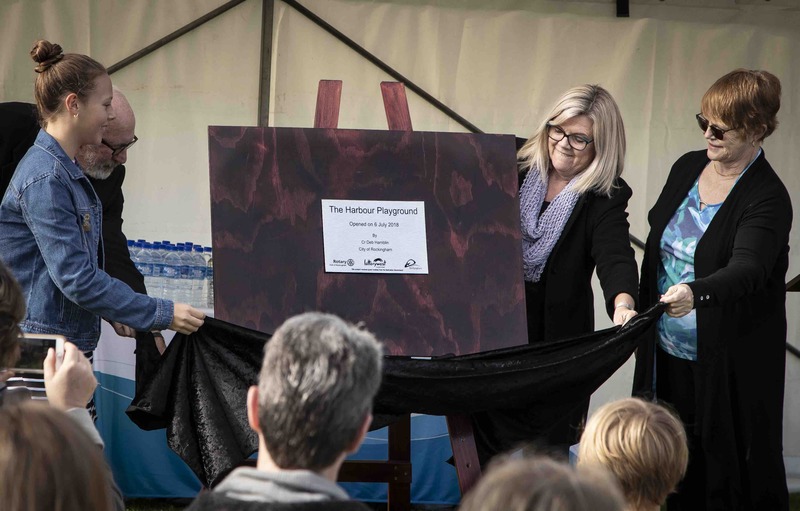 Environmental Industries were awarded this project by the City of Rockingham. 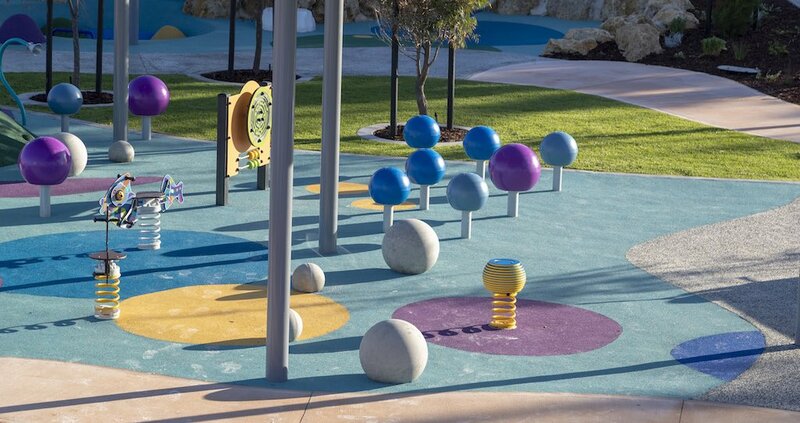 From the start of the project, Environmental Industries had a strong commitment to ensure the design intent was maintained, always communicating with the client and architect to ensure constructibility and that the end product met the requirements set out by the client. 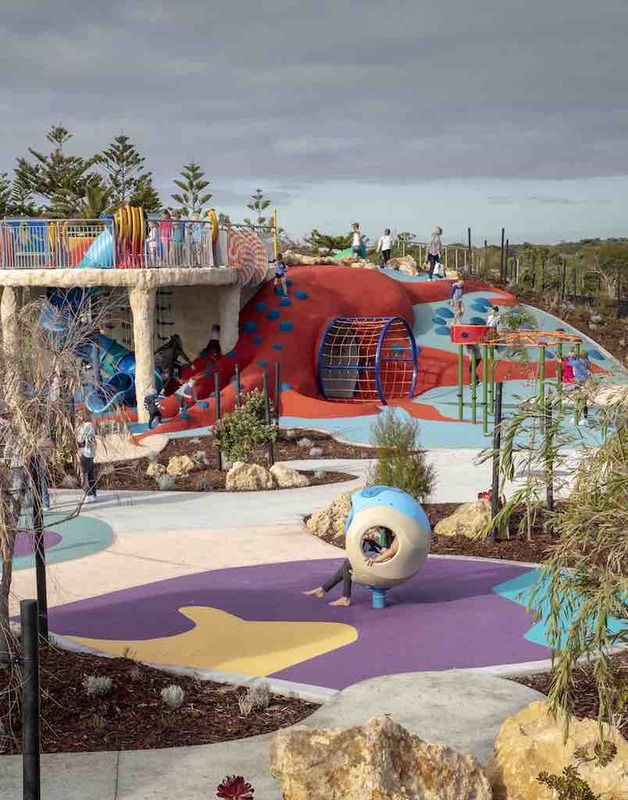 The Secret Harbour Play Space includes an underwater cave, complete with coral seats, a giant octopus, seaweed ropes and a whirlpool net for the kids to climb from inside the cave to the top of the cave. 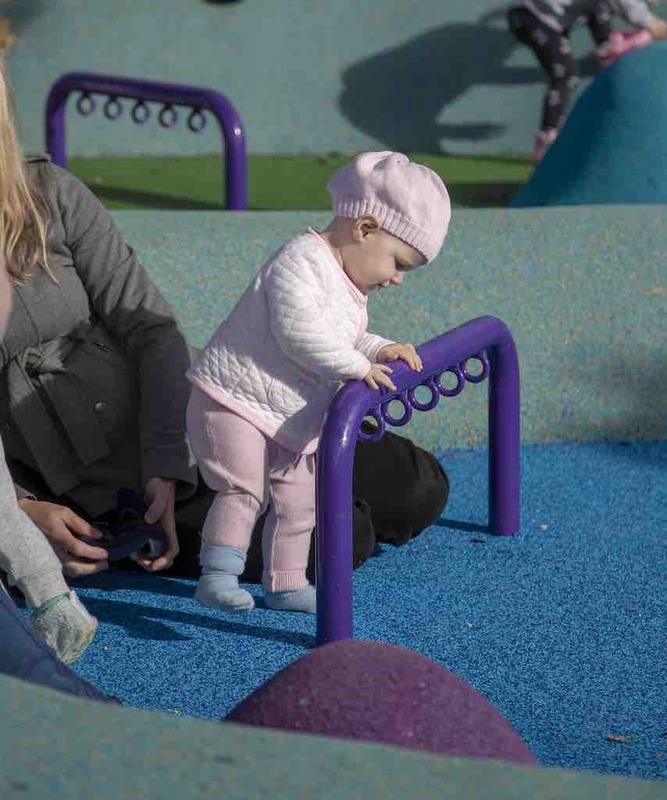 All aspects of the park were designed to include people of all ages and abilities with an emphasis on access and usability.